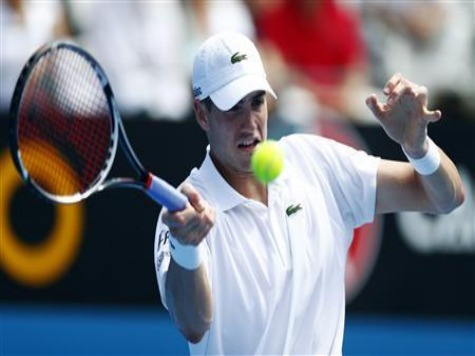 John Isner had hope for 2014 Australian Open. His knees were better and he won a tournament in Aukland a week before the Open. But his tweaked ankle from a tournament in Perth a few weeks ago would not allow him to finish his first round match against Martin Klizan. He was down the first two sets 6-2, 7-6 (6). “I was able to win my first match and didn’t feel good afterwards and then I won again. The whole thing in Auckland was bizarre because I never expected to win that tournament,” he said. Isner was seeded at #13 and the only seeded American male. He withdrew from the 2012 Australian Open due to bone bruising on his knee and withdrew from Wimbledon because of a left knee injury. He will return to America and prepare for a February match against Andy Murray in the Davis Cup.